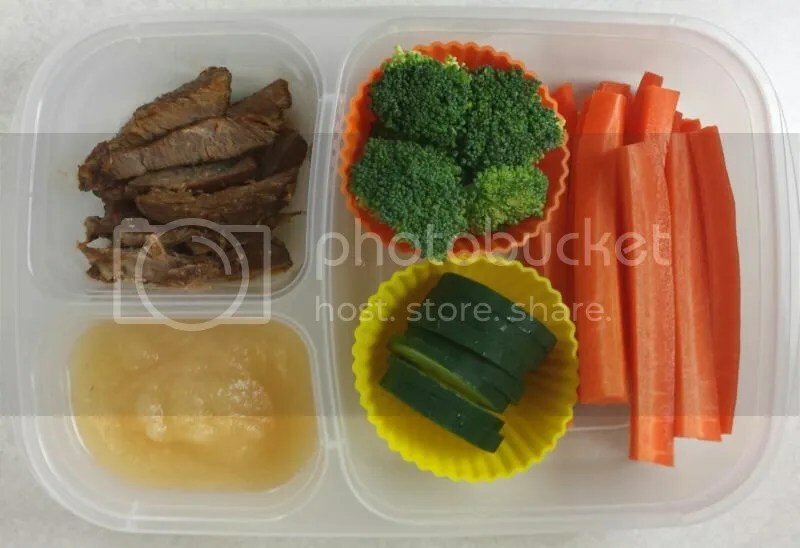 Time for another post of the week’s lunches! This one is from last week. Kiddo1 was out the week of Thanksgiving so no lunch post from that week. Actually, he was out the Wednesday before Thanksgiving through Tuesday after, so I really just combined the short pre- and post-Thanksgiving days into one week. I thought that detail might be boring though, so I was going to leave it out. But then I thought I might as well be truthful. So there you go. Cubed foods day! A little fun to offset a drerry Monday. 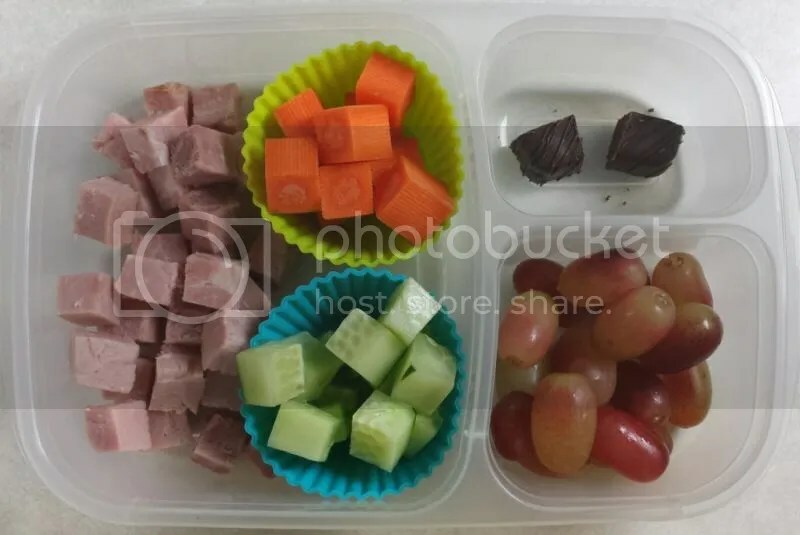 Kiddo1 had cubes of ham, carrots, and cucumber, with two chocolate cubes (Missionary Chocolates are vegan), and -gasp- oval-shaped grapes. 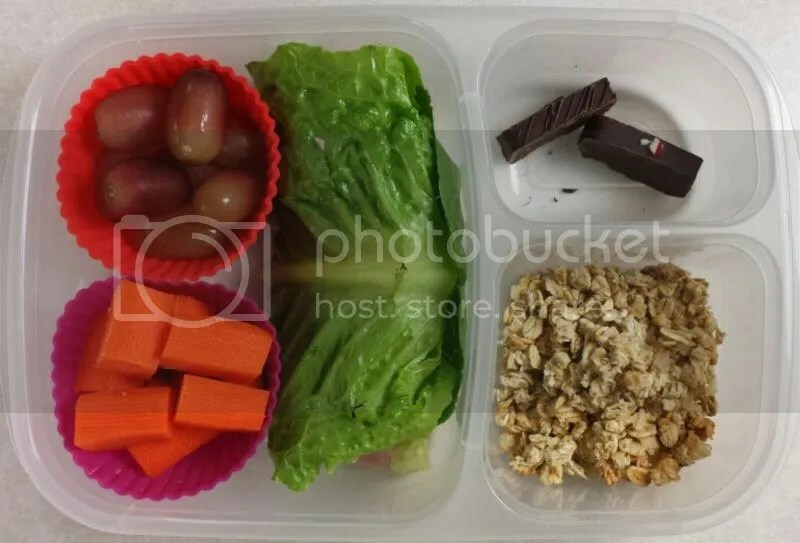 Keeping it simple today – a lettuce wrap stuffed with ham and cucumber, some carrots and grapes, a little more Missionary chocolate (a slice of dark chocolate and peppermint flavors), with some apple-blueberry granola too. I haven’t forgotten a picture in awhile, but I did this week. It was a nice looking lunch, too, so I was pretty bummed about it! I was going to try to draw a picture of it but that actually would have just been me tracing an old photo of tacos for lunch and I just don’t feel like doing that. Kiddo1 had leftover beef tacos, a clementine and a cookie. 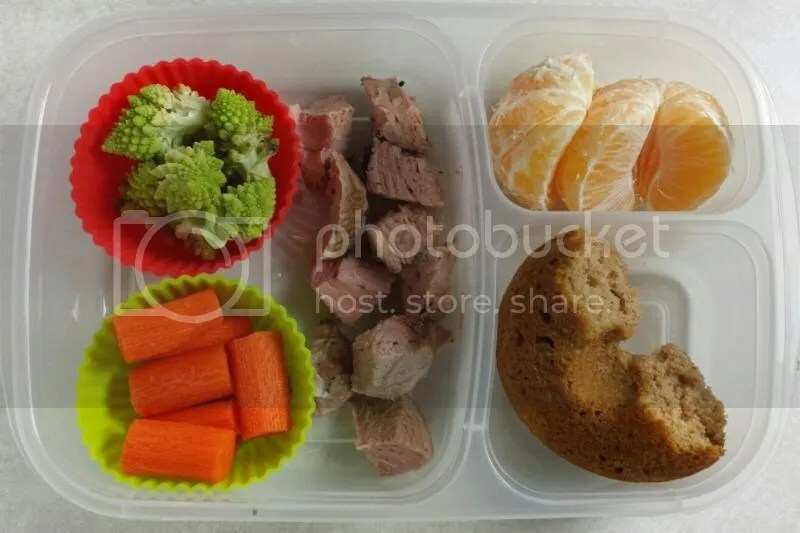 On Thursday, Kiddo1 had leftover pork tenderloin, carrots and romanesco, a clementine and a little over half of one of the leftover apple cider donuts that we had for breakfast that morning. Somehow by Friday morning we had ran out of meat and I was taken a little by surprise at that! 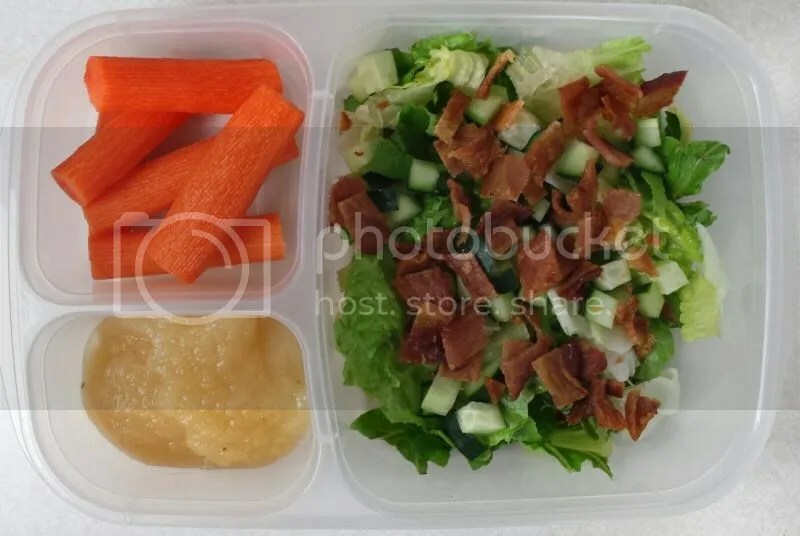 Luckily we have bacon for breakfast on Friday, so Kiddo1 got a little less bacon in the morning (with a little more fruit to make up for it) and he got what I like to call a BLC salad – bacon, lettuce, and cucumber (I’d totally put tomato in there but he won’t go for it just yet). He also had carrots and applesauce for dessert. 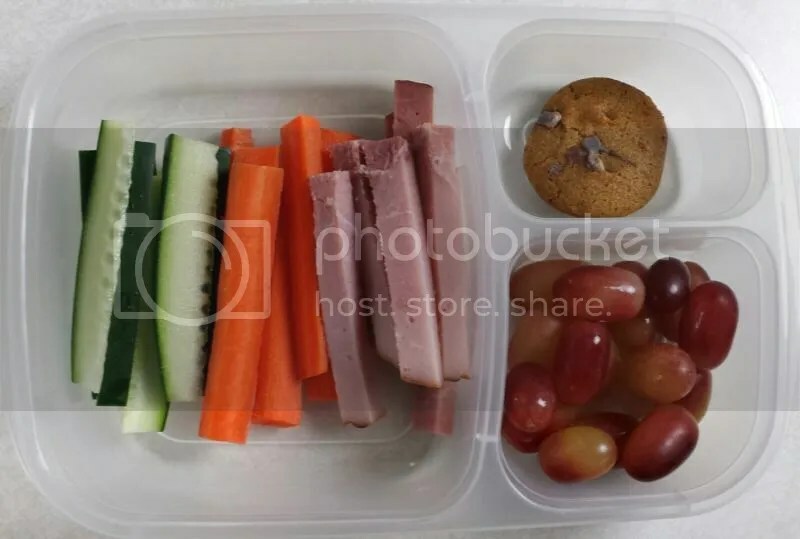 More lunches! 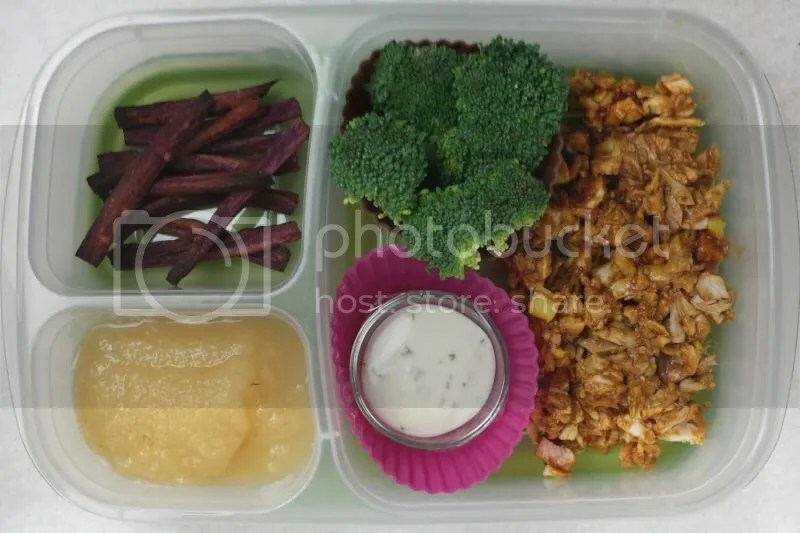 I’m still catching up from my blog break so I’m a little behind with my lunch posts! This one is from the week before Thanksgiving. 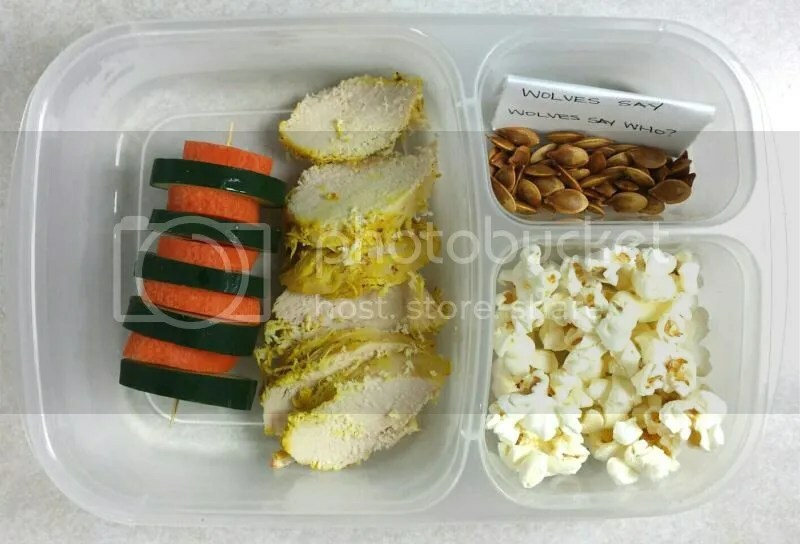 I haven’t done many silly things with the lunches lately, so for Monday I cut everything into strips. If only I had an elongated fruit, I could have kept it up! Alas, we had grapes that day. And Enjoy Life cookies – the soft ones that Kiddo1 still likes. 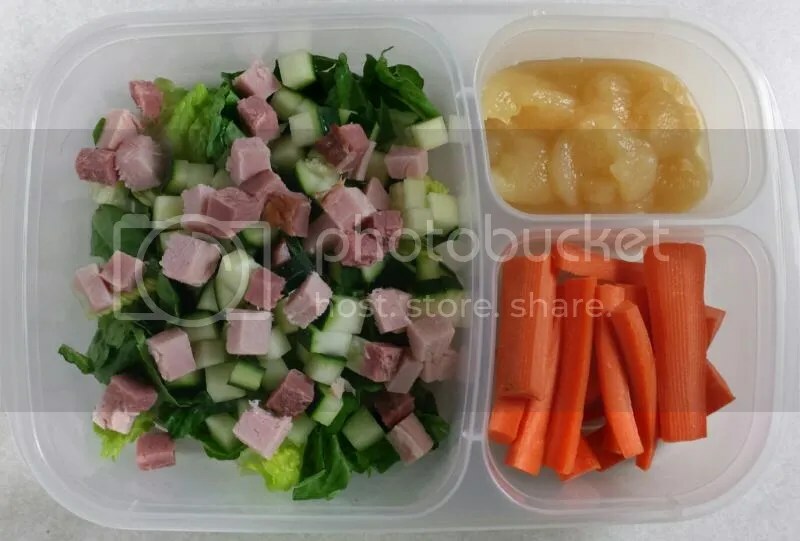 More ham on Tuesday – we didn’t generate a lot of leftovers this week I guess! I was already in Thanksgiving prep mode and I didn’t want anything cluttering up the fridge! 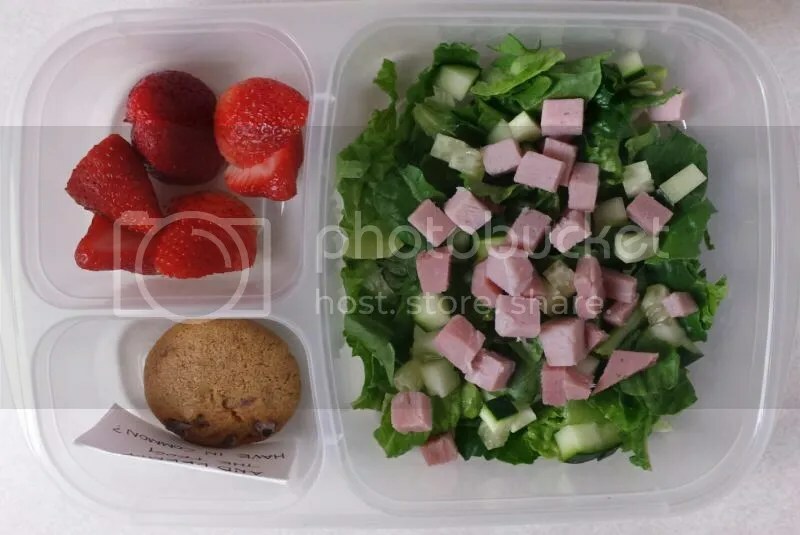 So Kiddo1 had a salad with ham and cucumber, plus some strawberries and an Enjoy Life cookie. Leftover tacos! 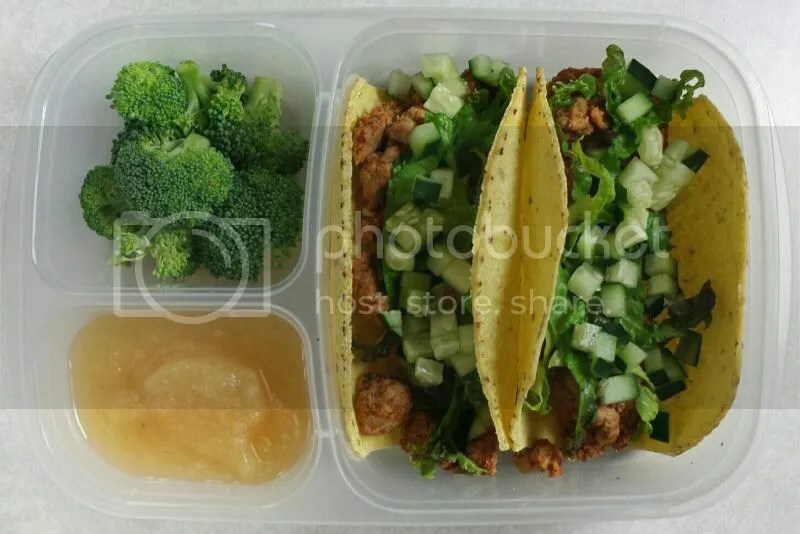 These are turkey tacos – our last taste of ground turkey before turkey leftovers take over the fridge next week. Kiddo1 always has his tacos with a little romaine and cucumber. Rounding out the lunch are some grapes and another Enjoy Life cookie. He really wanted another taco! And I really wanted to get rid of the lingering leftovers – must have space for the turkey! Sure I still had three days to clean out the fridge… but you can never be too prepared. 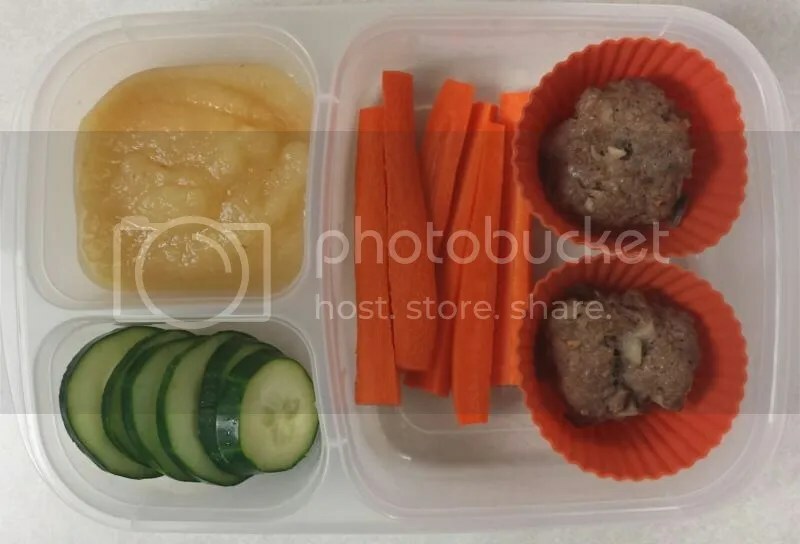 Anyway, Kiddo1 also had applesauce and a coffee cake-style muffin, with the standard carrots and cucumber veggie sides, of course. Not a lot of creativity with lunch this week! But we did manage to get Kiddo1 fed with healthy foods and he wasn’t complaining so I guess the week wasn’t so bad after all! 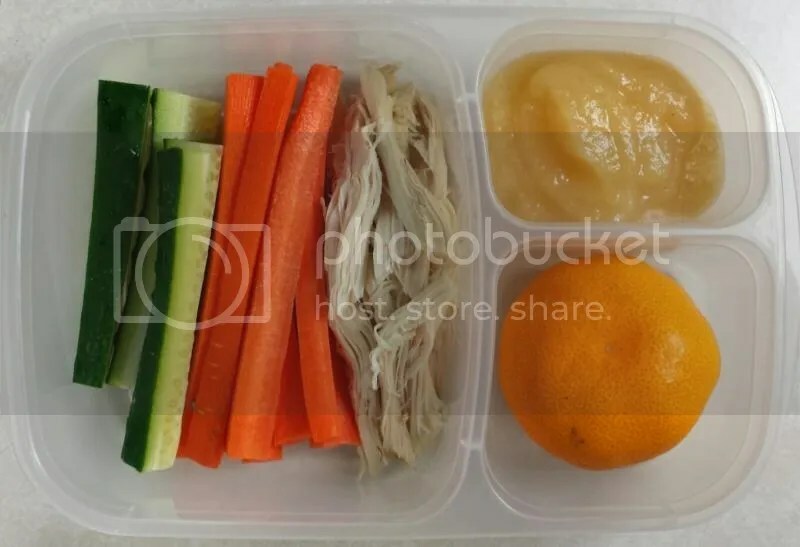 We finished it up with almost an exact repeat of Tuesday’s lunch, except our sides are applesauce and carrots instead of fruit and a cookie. He happily ate it all! Posted in School Lunch and tagged clean eating, dairy allergy, dairy sensitivity, dairy-free, diet changes, egg allergy, egg sensitivity, egg-free, food photography, gluten free, kids diet, kids lunch, learning photography, lunch, lunch packing, meal planning, nutrition, school lunch, wheat allergy, wheat sensitivity, wheat-free. Bookmark the permalink. Lunch wrap up time! I’m catching up after a few weeks of blog break, so this post covers lunches over Veteran’s Day week. Only four lunches since we had Tuesday off! Monday was Mr. Handsome’s birthday and we celebrated with cupcakes. They were pretty good – I posted the recipe on Instagram I think… I’ll see if I can find it and update this later. 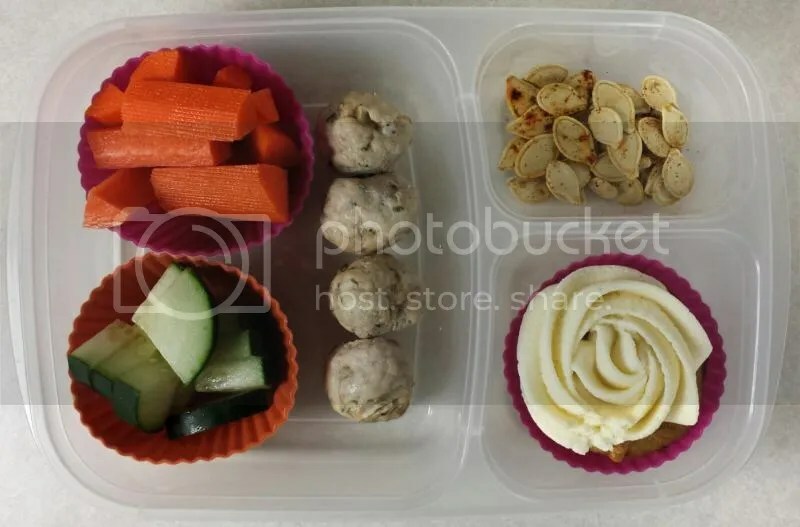 So Kiddo1 had one of his dad’s birthday cupcakes for lunch, plus pumpkin seeds we roasted on Halloween, a kabob of turkey meatballs, and chopped carrots and cucumbers. 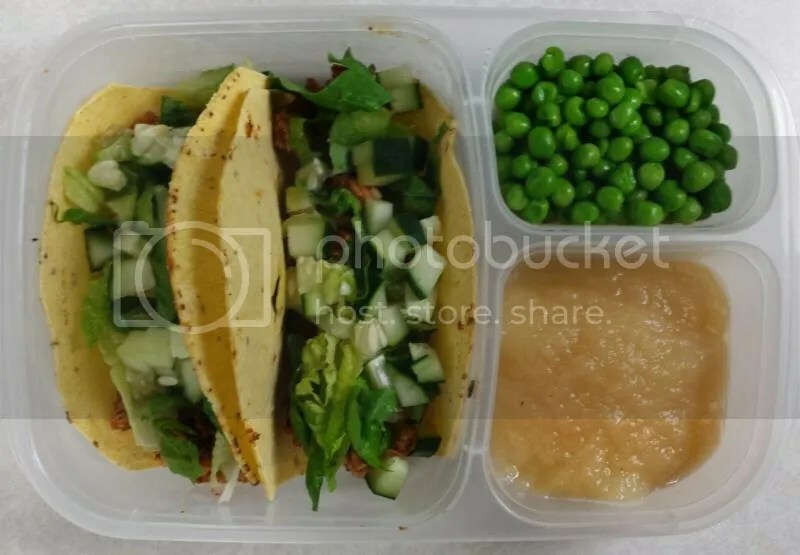 Leftovers of Tuesday’s tacos were for lunch on Wednesday. 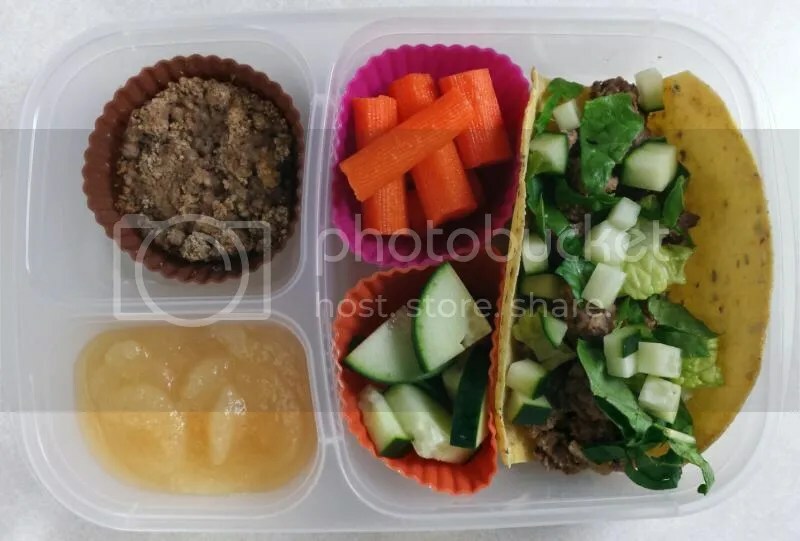 We had beef tacos and cauliflower rice. Kiddo1 isn’t a fan of the cauliflower rice though, so he got broccoli instead. Totally a fair trade, I think. And for dessert there was applesauce. What would we do without carrots and cucumber? They’re Kiddo1’s favorite veggies so he gets them often. They came with some leftover chicken, another of Kiddo1’s favorites. For dessert he had an Enjoy Life cookie. More carrots! And there’s cucumber in the lettuce wrap. There’s also some meat in there but I can’t at all remember what it was! Kiddo1 had another Enjoy Life cookie for dessert. It was one of the crispy ones and he says he doesn’t like them anymore. So that’s cool I guess! Also, as you can see from the paper in the pumpkin seeds I am still sending jokes with lunch, although lately they have been less frequent. I’ve ran out of jokes already! We had so many lunches this week! Not only did I successfully remember to take pictures of everthing (ha!) but Kiddo1 also stayed late at school every day last week so he took both a lunch and a snack with him every day. That’s a lot of pictures to write about! So I give you this week’s extra super mega bonus lunch/snack wrap up. Of awesomeness. I keep trying to get Kiddo1 to like sweet potato fries. I’ve tried them in a variety of colors and level of crunch, but to no avail. These purple ones were too crunchy for his taste. So I will try again with less crunchy fries! I mean, who can say no to purple fries?! Also served was leftover BBQ pulled pork that I cooked in our Instant Pot pressure cooker. I’ve never had a pressure cooker before this electric Instant Pot one and I’ve got to say, it is amazing! This thing does rice, yogurt, sautes, slow cooks, everything! I highly recommend it if you’re in the market for any of those things. 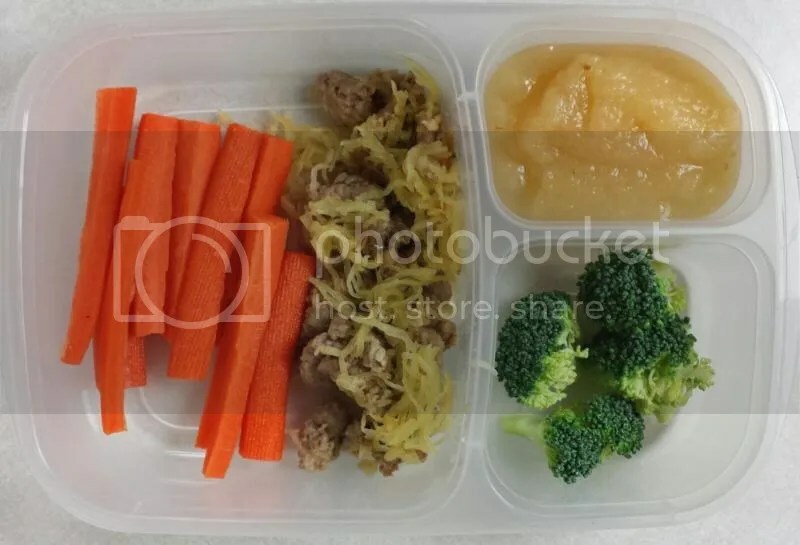 But back to the lunch… rounding out this well-rounded meal is some broccoli and applesauce for dessert (his favorite!). Kiddo1 had an after-school event every day this week so he was stuck at school until 5 (and until 7 on Tuesday!). Thus he received a good-sized snack every day so he could power through! 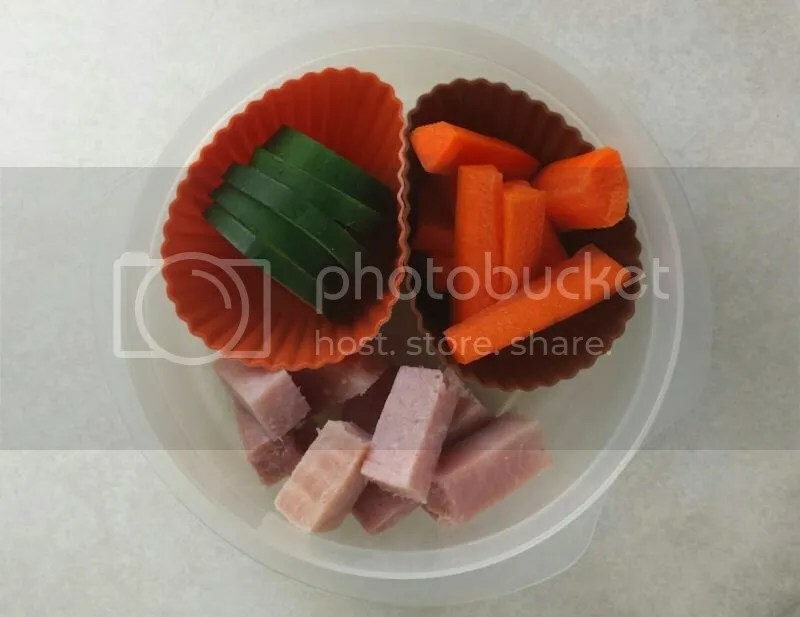 This one was just ham, cucumbers, and carrots. Simple but it did the trick! 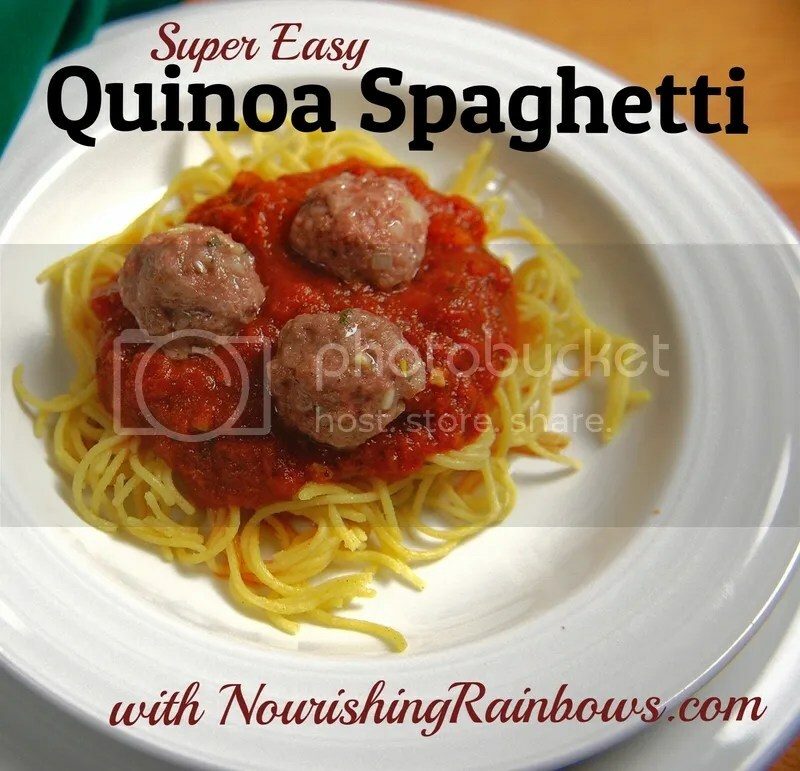 Another meatless Monday dinner (we had quinoa-stuffed acorn squash) brings another lettuce wrap lunch on Tuesday! This one is filled with ham and cucumber (like it always is! 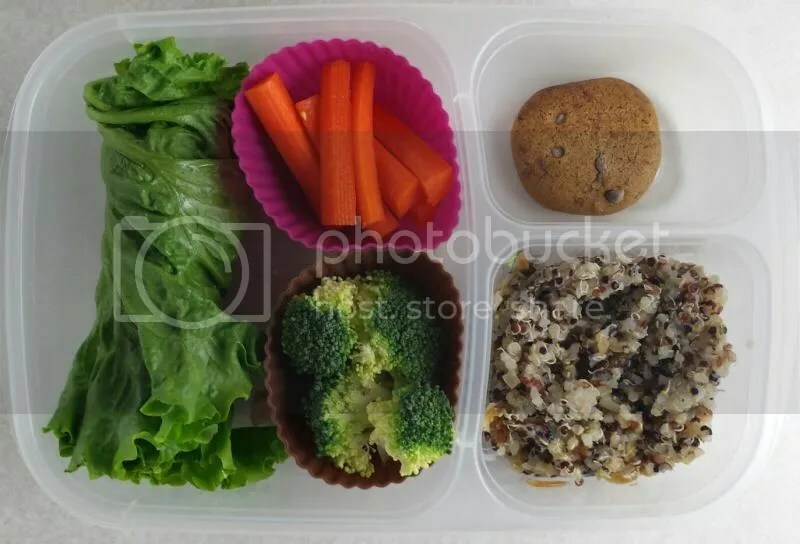 ), plus Kiddo1 had some of the leftover quinoa mix (there are onions, garlic, and a few other veggies I’m forgetting), more broccoli, carrot sticks, and an Enjoy Life chocolate chip cookie. Kiddo1 had a super late day at school on Tuesday (he was there until 7!) but I knew he wouldn’t have a ton of opportunity to eat his snack since he’d be busy participating in the after-school program. 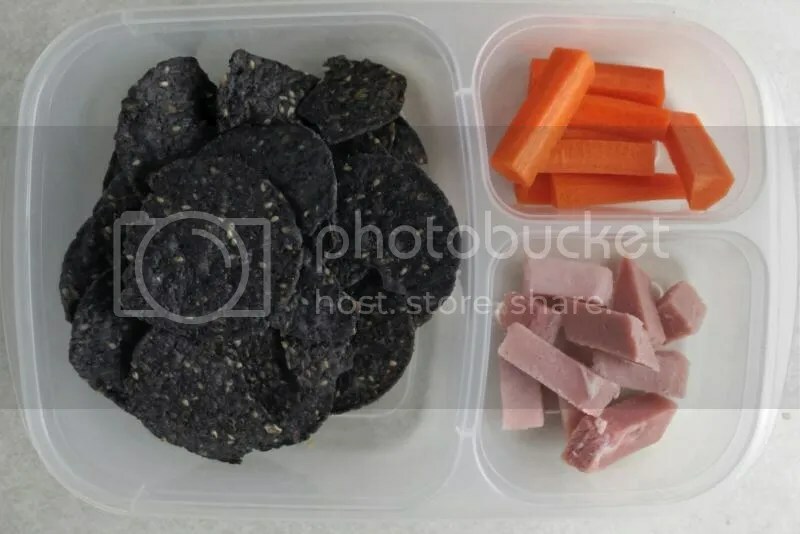 So I gave him easy finger foods that he could nibble on whenever he got an opportunity: carrot sticks, ham “sticks,” and blue corn chips. Taco day! 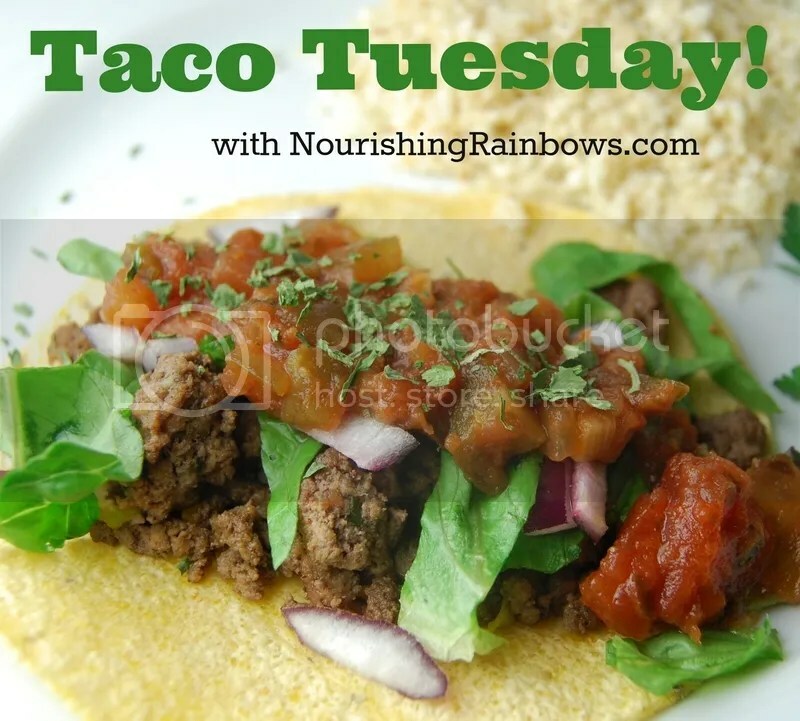 Sometimes I have to sequester some taco meat and shells while we’re eating dinner so I’ll have something leftover for lunch – tacos go pretty fast in this house! Kiddo1 just loves the tacos. But dispite my efforts we ran out of taco shells anyway. 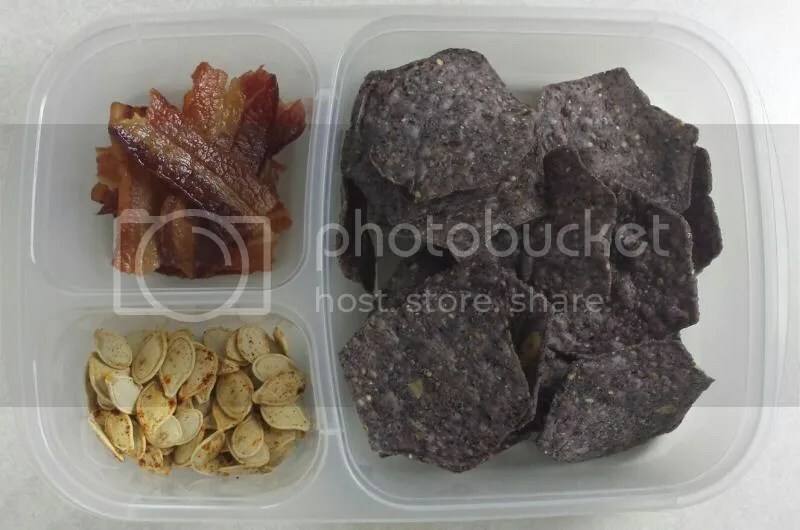 Luckily we’ve been keeping a steady supply of these blue corn chips so I substituted with those. Of course I packed more broccoli, as I have been really pushing the broccoli lately! Plus another Enjoy Life cookie. Lots of corn this week I guess! Oops. 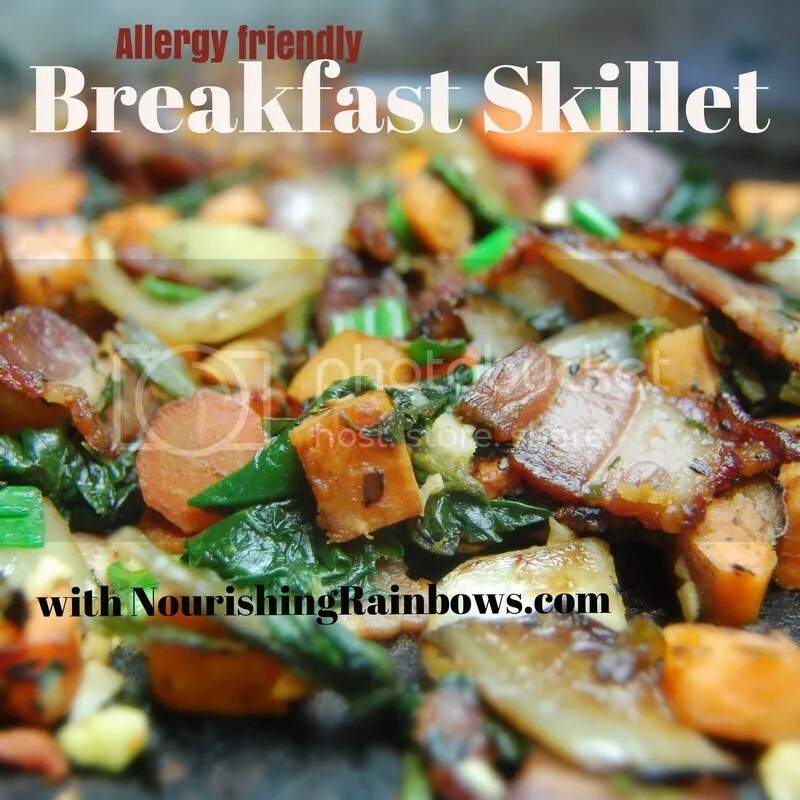 We should try to cut back (corn is not so great for the digestive system) but when almost all grains are off the table you take what you can get! 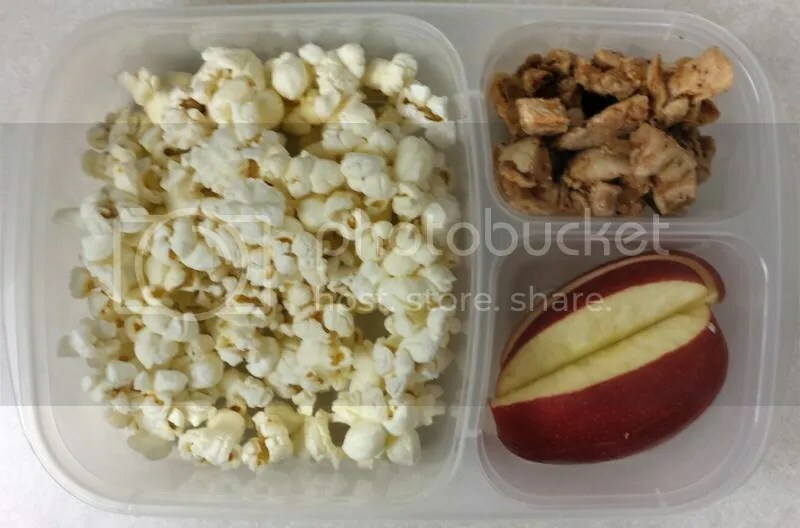 Plus popcorn is such an easy snack. Also served with the last of the leftover taco meat (chicken tacos this week), plus some apple slices. Kiddo1 was very nervous about the apple slices getting brown, but I just squeezed a bit of lemon over them and he said they didn’t turn brown at all! And he didn’t even know about the lemon juice. Leftover pork today! 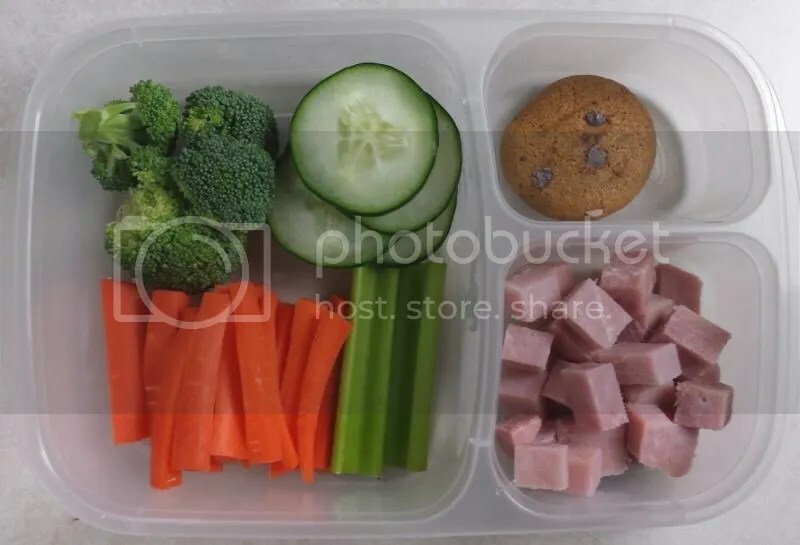 Plus the full suite of vegetables that Kiddo1 will eat (well, we’re back and forth on the broccoli) – broccoli, carrots, and cucumber. More applesauce for dessert! More apple slices! That didn’t get brown! But… they did get tossed around with the pumpkin seeds and raisins which made for a soggy mixed mess. Oops. I should have stuck to my Easy Lunch Boxes container for this one I guess! Poor Kiddo1 was a bit disappointed since he refused to eat the snack mix-up, but he bounced back when I gave him some fresh apple at home! Finally Friday! 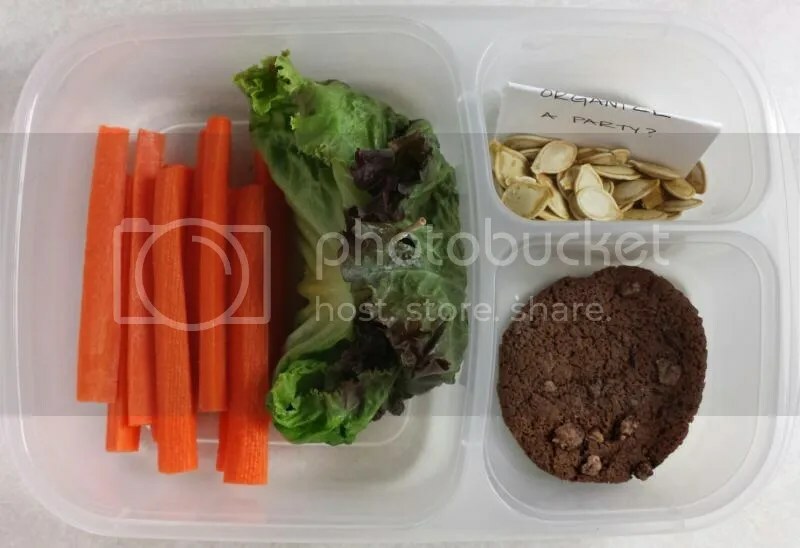 My brain was out of ideas and my fridge was out of leftovers, so Kiddo1 got a pretty cookie-cuter lunch on Friday: carrots, broccoli, cucumber, and I snuck in some celery too (celery made its way back home, unfortunately!) plus cubes of ham and a final Enjoy Life chocolate chip cookie for the week. Friday breakfasts for us are Bacon Fridays (I suggest everyone have a dedicated bacon day!) and I was feeling extra bacon-happy so I cooked a couple extra pieces and snuck them into Kiddo1’s snack. He was pretty excited to see more bacon in his day! I also gave him more pumpkin seeds to make up for the ones he didn’t get on Thursday, plus more of the blue corn chips he loves so much. Not a bad way to end the week! Whew! That was a busy week of on-the-go foods! 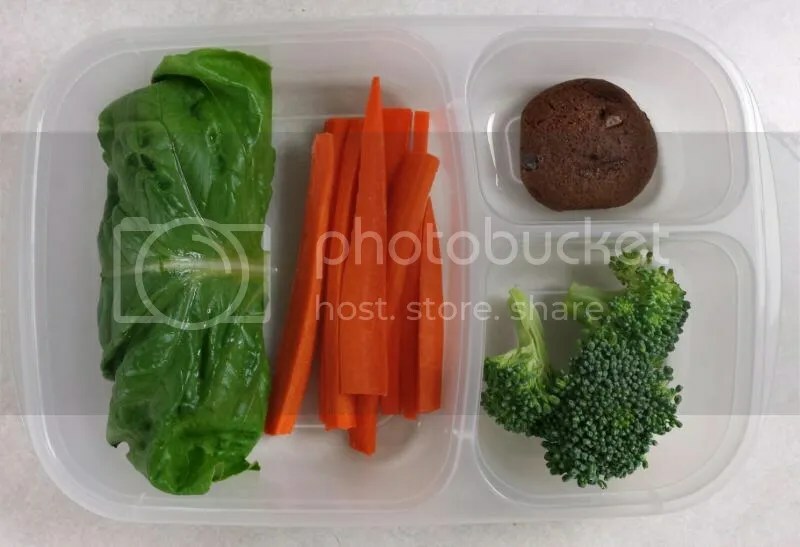 Welcome to another week of school lunches! 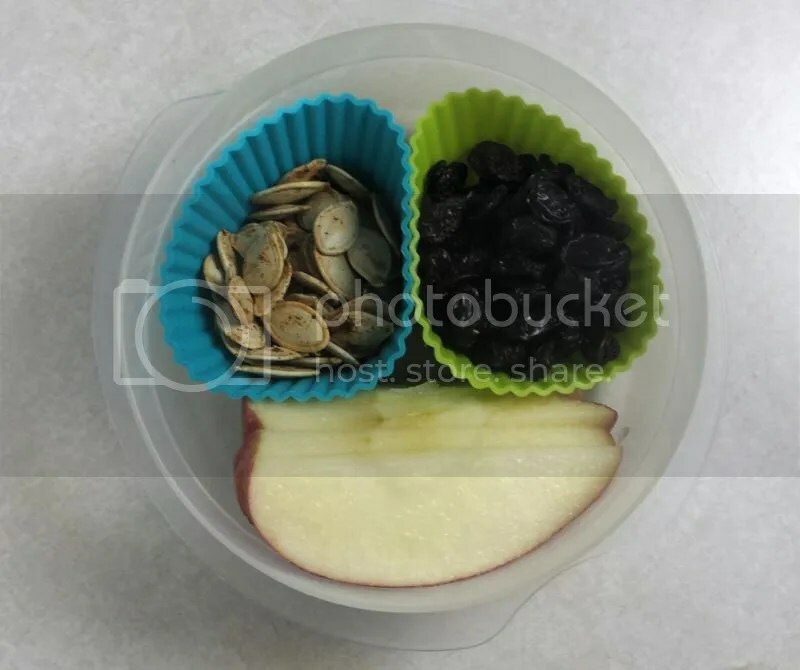 This week was another short one – Kiddo1 had Friday off for Halloween (actually it was off for conferences, but he liked to say they had the holiday off) so only four lunches this week plus a couple snacks. On Monday, Kiddo1 had a lettuce wrap with the most beautiful piece of romaine that we got at the very last farmer’s market of the season. Well, the last one of the particular market that we like to go to. There are a couple other year-round markets around but they are further away and busy so we tend not to go to the regularly. Our usual market does host one “Thanksgiving Market” on the Sunday before Thanksgiving, so we anciously look forward to that every fall. I digree – back to the lunch! Kiddo1 likes his lettuce wraps stuffed with cucumber and this one also had leftover pork roast from Sunday night’s dinner. He also had carrot sticks, broccoli, and an Enjoy Life cookie. On Mondays and Wednesdays, Kiddo1 is at school until 5 for his robotics program. The organizers offer snacks but they’re just bags of chips and candy so I have been trying to make sure I send a good snack with Kiddo1 so he isn’t longing for the snacks he shouldn’t have. (Let’s be honest, those aren’t good snacks for anyone!) 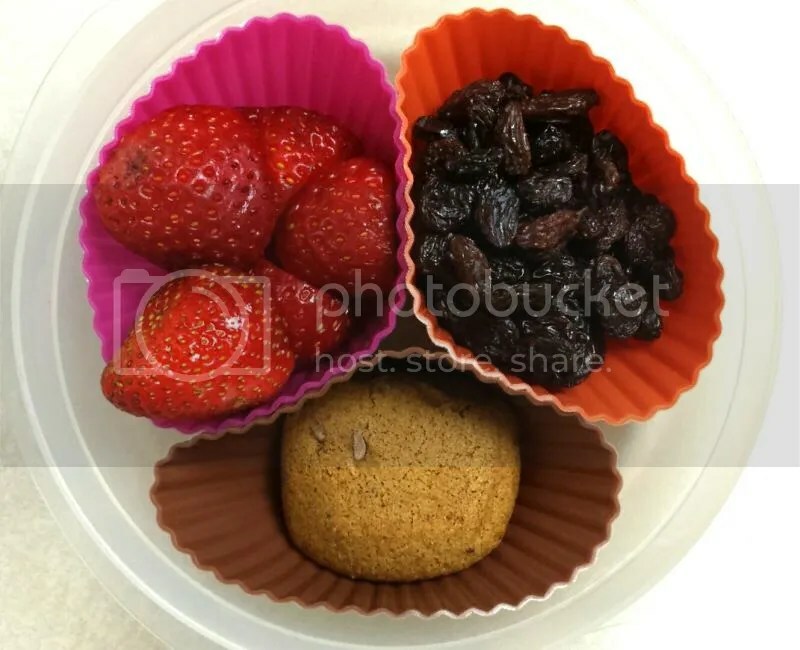 So for snack on Monday, Kiddo1 has some strawberries, raisins, and another Enjoy Life cookie. Every once in awhile I’ve got to give Kiddo1 a salad. 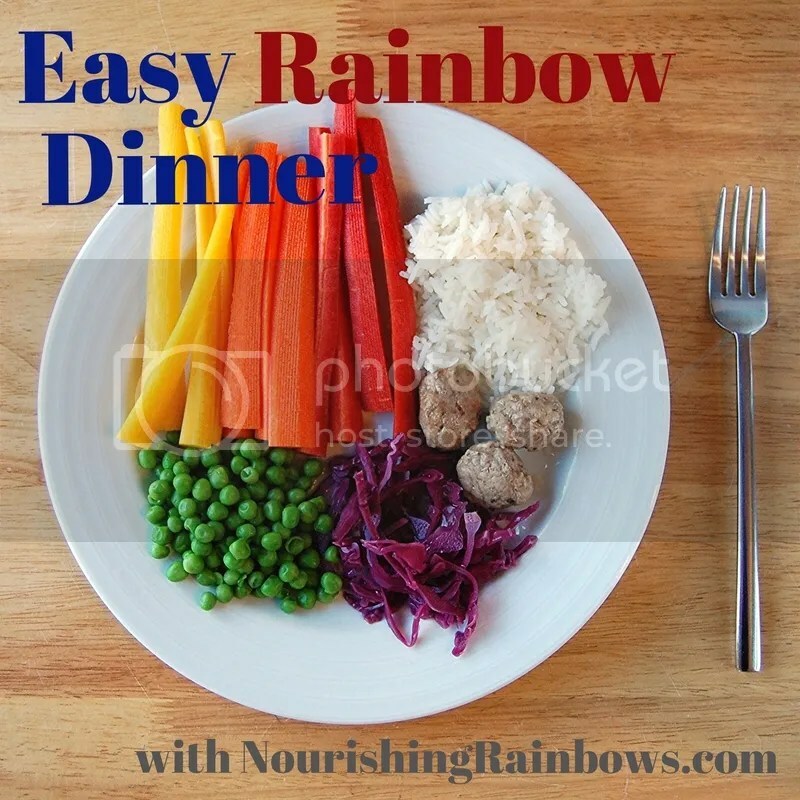 They’re just so easy to put together and I can get him a few extra veggies too. He’s slowly started to get used to them (ie complaining less when he sees them). 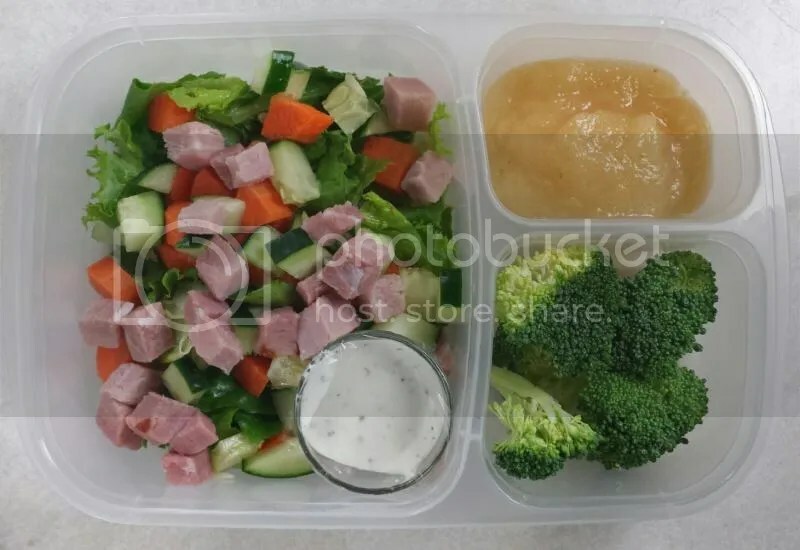 This salad is a bed of romaine and leaf lettuce with carrots, cucumber, and ham cubes and a side of vegan ranch. I also added more broccoli (he’s protesting the broccoli lately so I’m offering it more often… we’ll see how that goes). His favorite – applesauce – is for dessert. Taco-night-leftovers day! 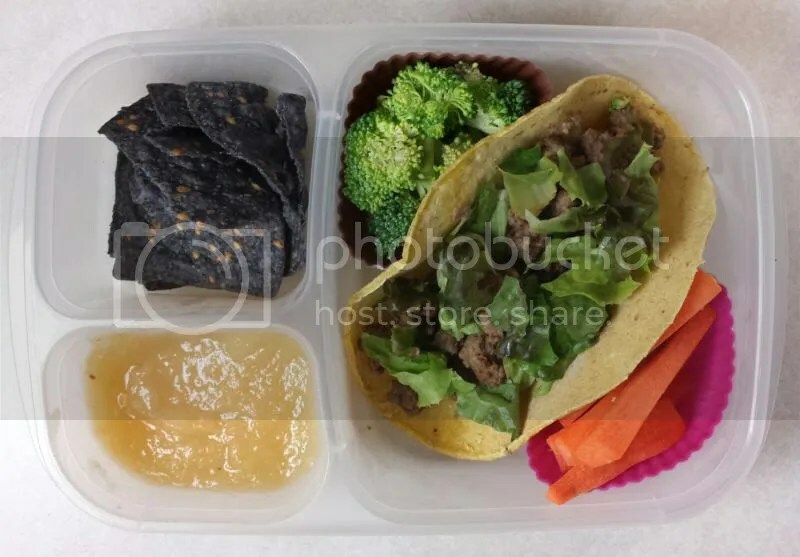 Kiddo1 insists on having Taco Tuesday so I Wednesday I insist he takes the leftovers for lunch. 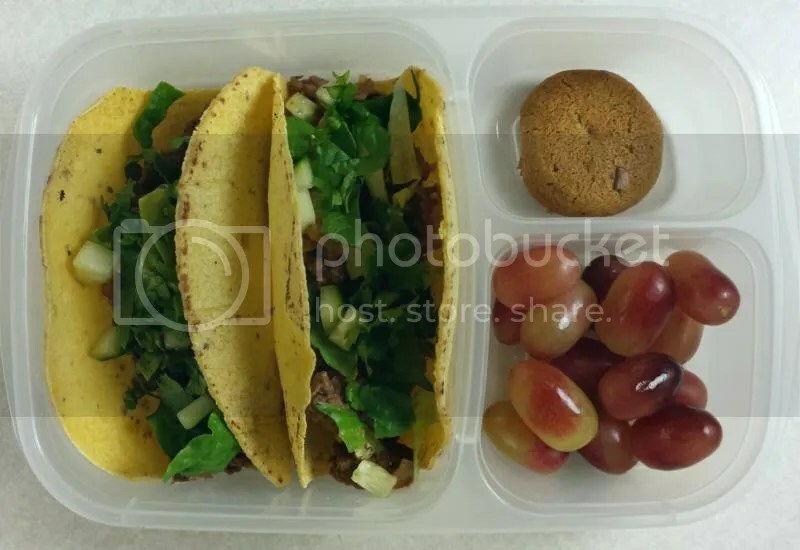 This week we had beef tacos (we have so much ground beef from the quarter cow we bought this summer!) and they have cucumber and red leaf lettuce on a corn tortilla. 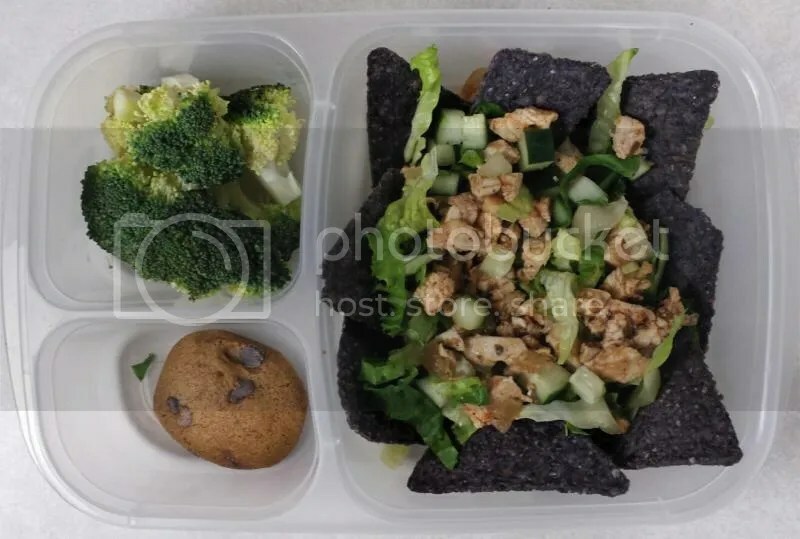 He also had more carrots and broccoli, plus applesauce, and a some blue corn and sesame chips. I packed these away very carefully in parchment paper, but here they are finishing up on the rack. 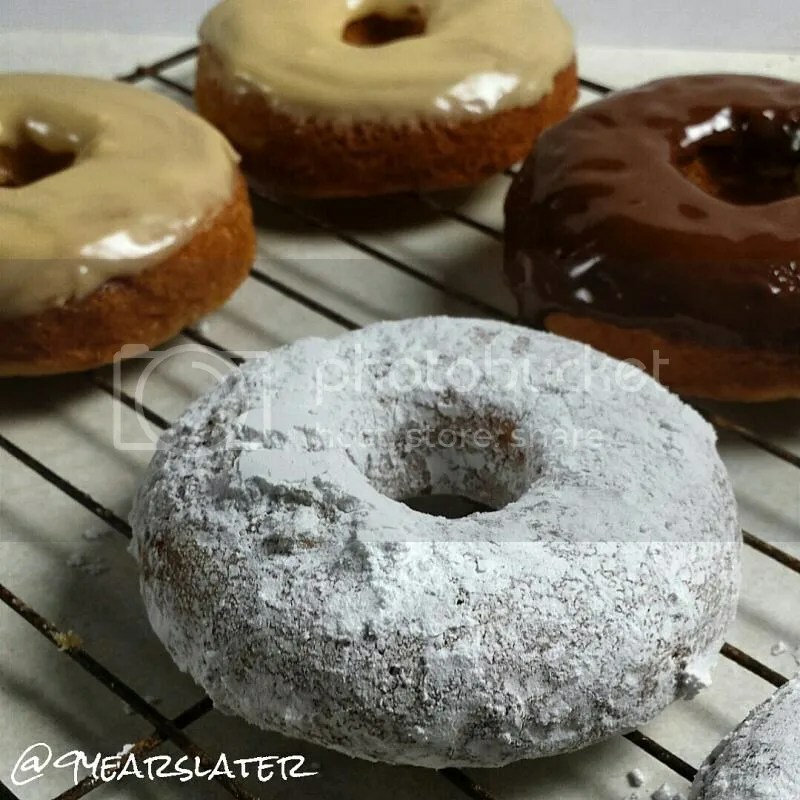 Kiddo1 finally had that donut party in her after school class so I made him special allergy-free donuts so he wouldn’t feel left out. I’m still tweaking the recipe a bit but will post them soon! Kiddo1 kept saying, “it’s my Friday!” But to the rest of us it was still just Thursday! Still a fine enough day to have popcorn for lunch though. Plus the last of our roasted acorn squash seeds (had to clear out for all the pumpkin seeds coming in!). He also had leftover chicken – on Wednesday night I tried making Indian food for the fist time. It went pretty well I think! We had tumeric chicken, some curried potatoes and green beans sauted with mustard seeds. I will be making it again for sure! 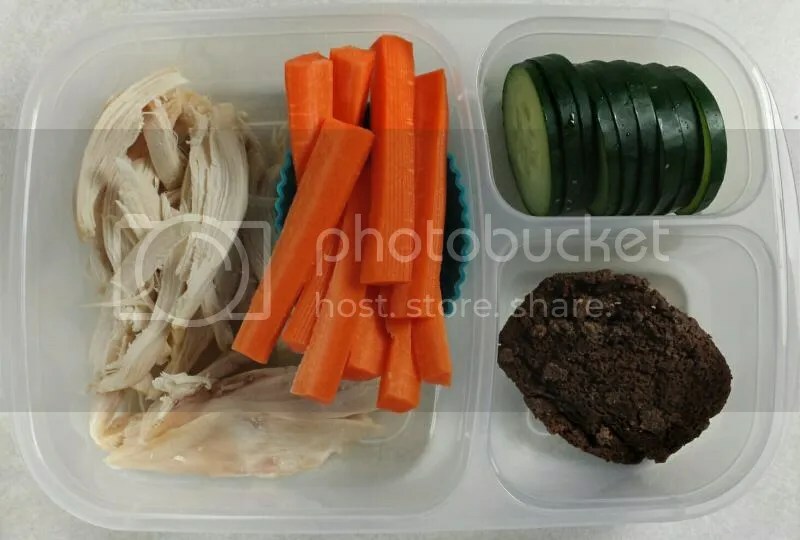 But in the meantime, Kiddo1 enjoyed a little leftover chicken with a carrot-and-cucumber kabob. Not a bad way to end the week! Thanks for visiting our lunches this week!